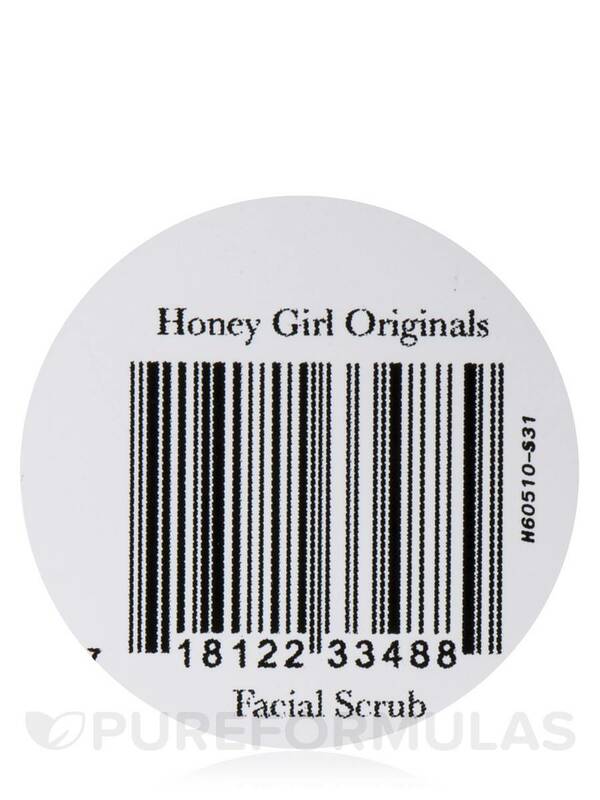 Honey Girl Organics Facial Scrub cleanses and moisturizes while whisking away dead skin cells‚ increasing blood circulation‚ helping to diminish fine lines‚ revealing plumper‚ younger skin and leaving it silky smooth. Good for all skin types. Aloe butter‚ super fine cane sugar‚ organic diatomaceous earth‚ aloe gel‚ raw pupukea wild flower honey*‚ organic coconut oil‚ essential oils‚ grapefruit seed extract. 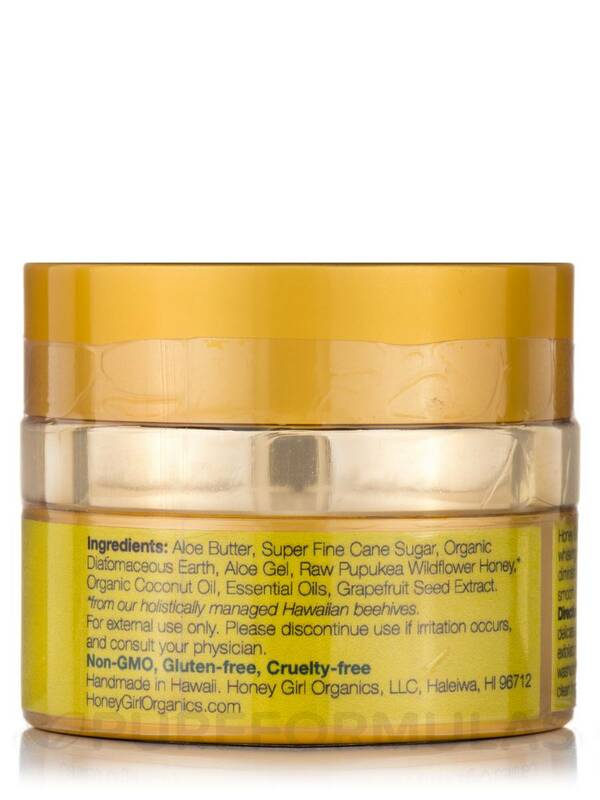 *From holistically managed Hawaiian beehives. Non-GMO / Gluten-Free / Cruelty-Free. 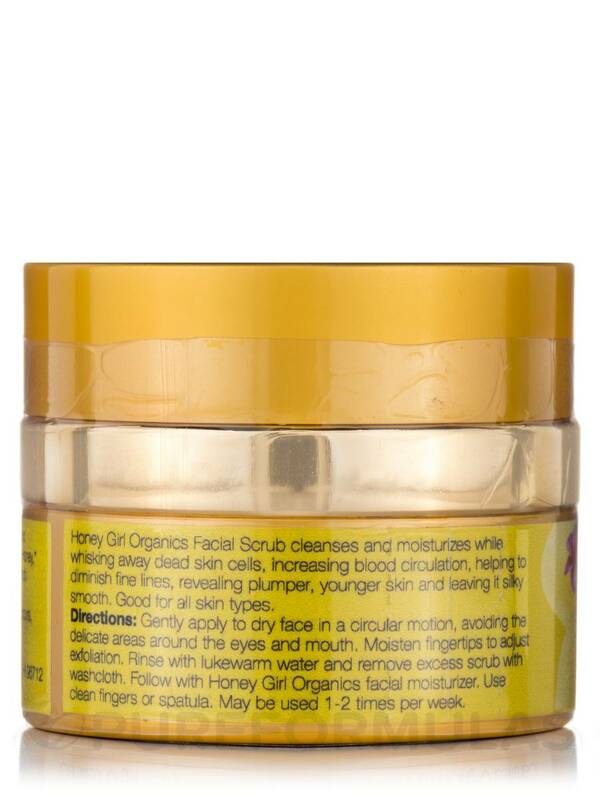 Gently apply to dry face in a circular motion‚ avoiding the delicate areas around the eyes and mouth. Moisten fingertips to adjust exfoliation. Rinse with lukewarm water and remove excess scrub with washcloth. 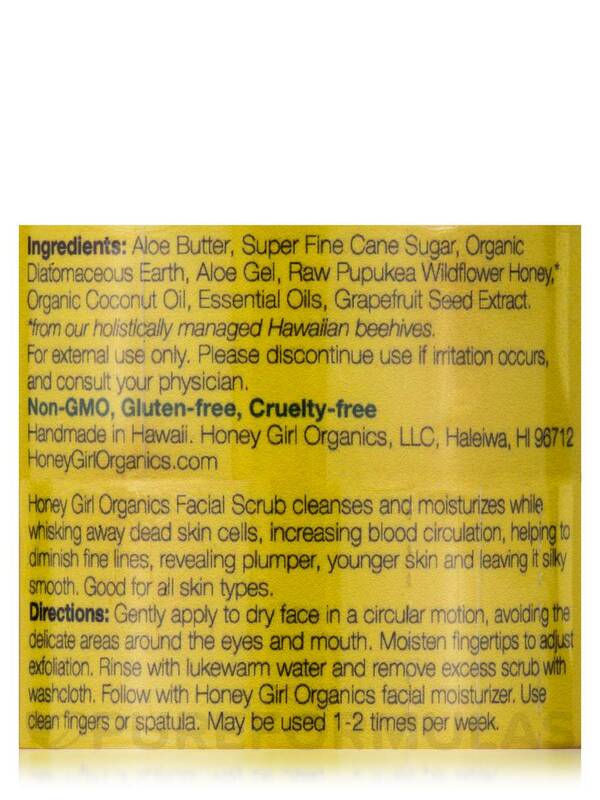 Follow with Honey Girl Organics facial moisturizer. Use clean fingers or spatula. May be used 1-2 times per week. Please discontinue use if irritation occurs‚ and consult your physician.